I use Twitter to post pixel art doodles and game art. 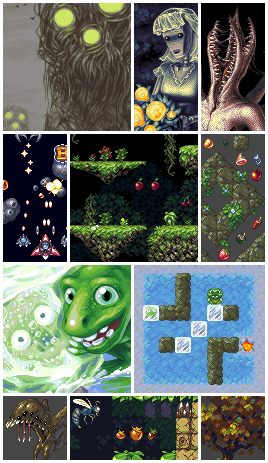 My larger pixel art pieces can be found on Pixeljoint. Mainly tile sets, but also other kinds of pixel art for games, licensed under a CC BY-NC-SA license. Dinothawr is a cross-platform freeware puzzle game with 50 levels.